Sales report shows you how your sales process is moving along, how much revenue is coming in and how many deals you're closing. 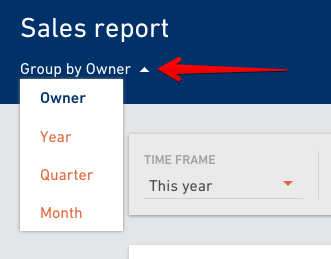 Go to the Reports tab in the main navigation and select Sales report from the dashboard. Data in the header shows you total win rate, in other words how many deals you have won vs. how many deals you have lost. 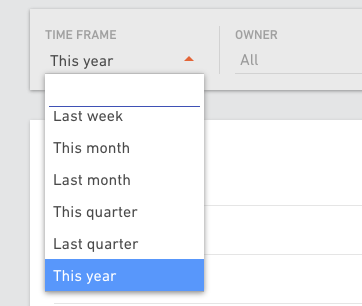 Select a time frame you want to get the data for. Create a sales report for the whole company or for a specific responsible person. 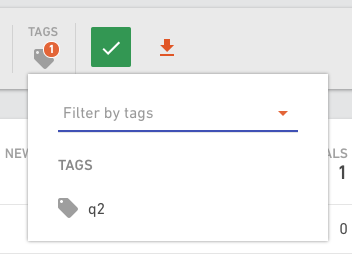 If you added tags to deals, you can create a report based on those tags. 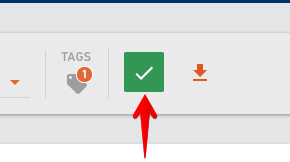 This way you can get a report only for a specific group of deals that share the same tag.